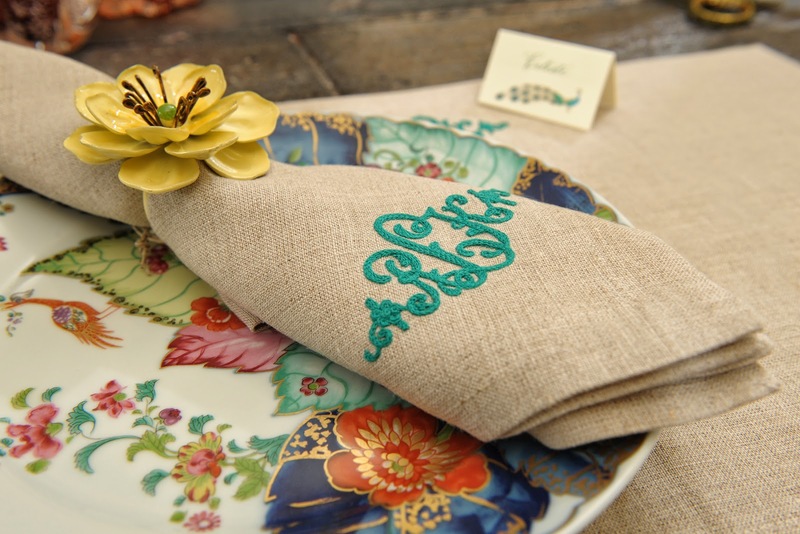 Do you lust for lovely embroidered bed linens? I do. 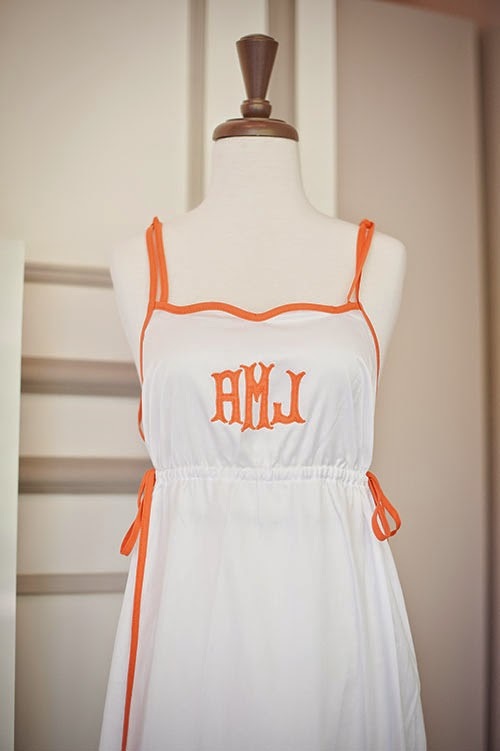 Are you mad for monograms? I definitely am. 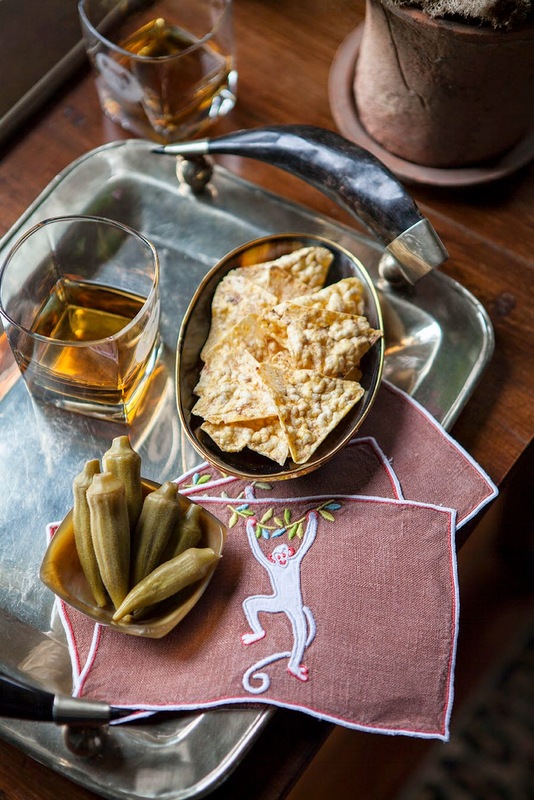 Meet Jane Scott Hodges, owner/founder of New Orleans-based Leontine Linens—and let her be your expert guide to gracious living and lavish couture-level, custom-designed linens. Her book is an essential reference for designers, decorators, brides-to-be and every perfectionist who wants the most beautiful beds. Come with me to meet Jane Scott. 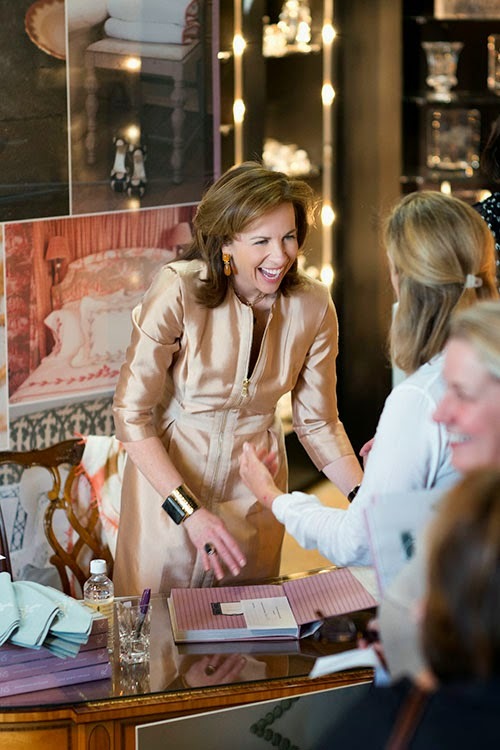 Jane Scott Hodges at a recent booksigning in New Orleans. 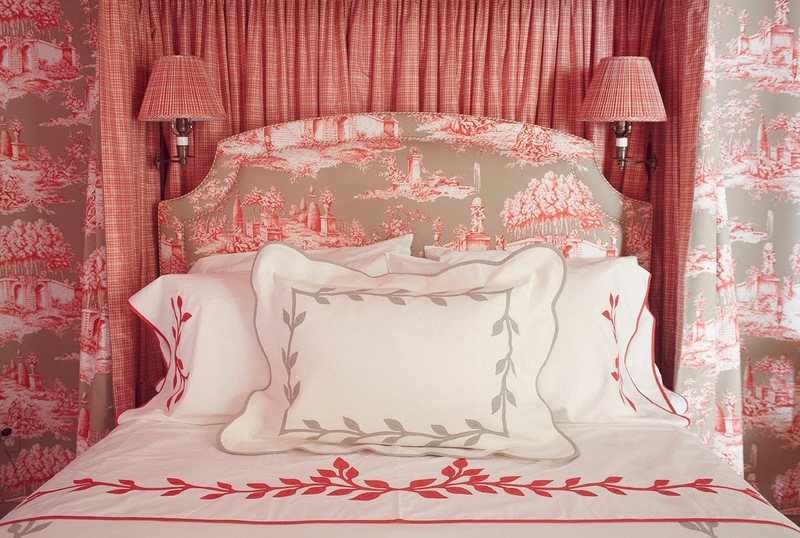 ‘Linens for Every Room and Occasion’ by Jane Scott Hodges (April, Rizzoli). 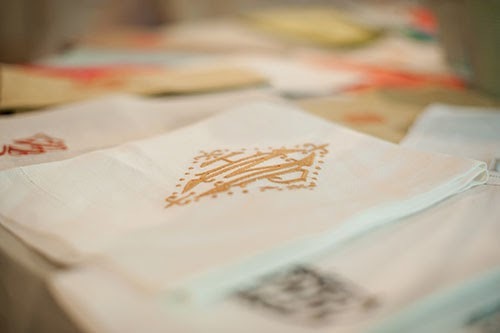 The book’s 240 pages are full of expert advice, designer tips, dozens of ideas, and insider advice on monograms, textiles, embroidery, quilting, and a world of linens for all rooms. To sleep, perchance to dream. A dreamy bedroom with bedroom style by Leontine Linens. Jane Scott Hodges will launch her handsome new book, ‘Linens For Every Room and Occasion’ (Rizzoli) in San Francisco this week. Friends and designers will attend a lavish book-signing Wednesday April 23 at Hudson Grace, the ultra-chic home design store founded by Monelle Totah and Gary McNaughton in Presidio Heights, San Francisco. The event is hosted by Newell Turner, editorial director of the Hearst Design Group, a longtime friend and colleague of mine. Newell is also in town for the opening of the San Francisco Decorator Showcase, which is open from April 26 to May 26 at 3660 Jackson Street, San Francisco. Newell and his team will introduce House Beautiful’s Kitchen of the Year, designed by Steven Miller. 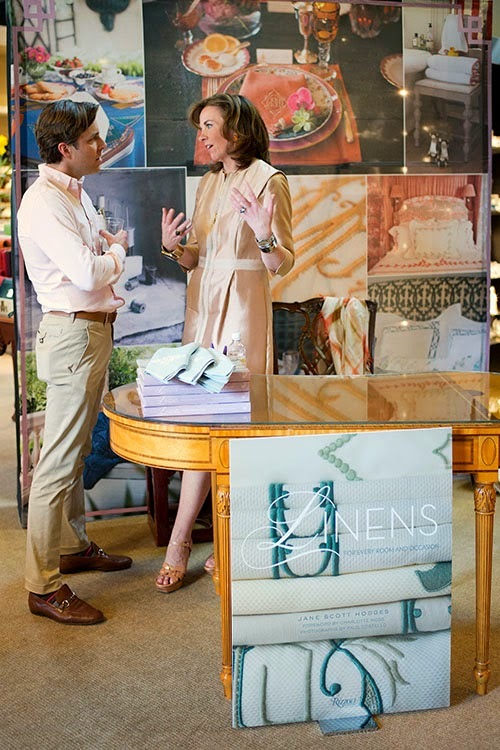 Hearst Design Group Editorial Director Newell Turner and Jane Scott Hodges at her recent book signing in New York. It’s going to be a very exciting design week in the city—bubbling with energy, design talent, accomplished decorators, classical architects, social stars, and Jane Scott Hodges’ wonderful and information-packed book. Newell Turner is also giving a private dinner in Jane Scott’s honor in San Francisco. 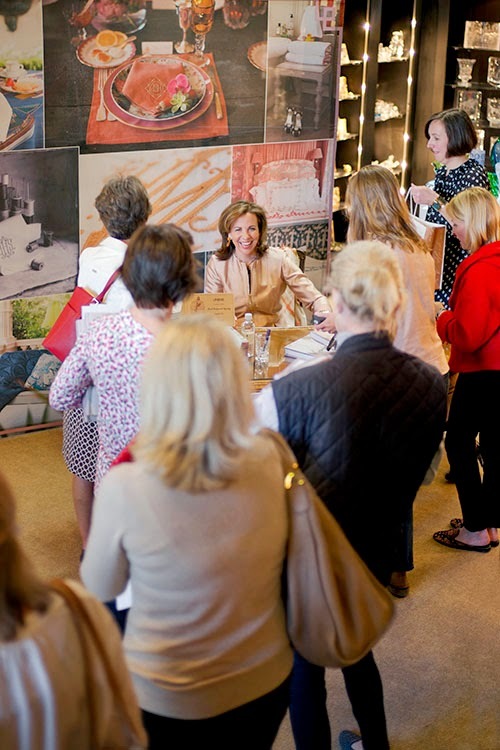 My guess is that everyone—between sips of wine and nibbles of hors d’oeuvres and signatures—will be quizzing Jane Scott on new styles, monogram designs, decorating concepts, and elegant modern ideas. I can’t wait. 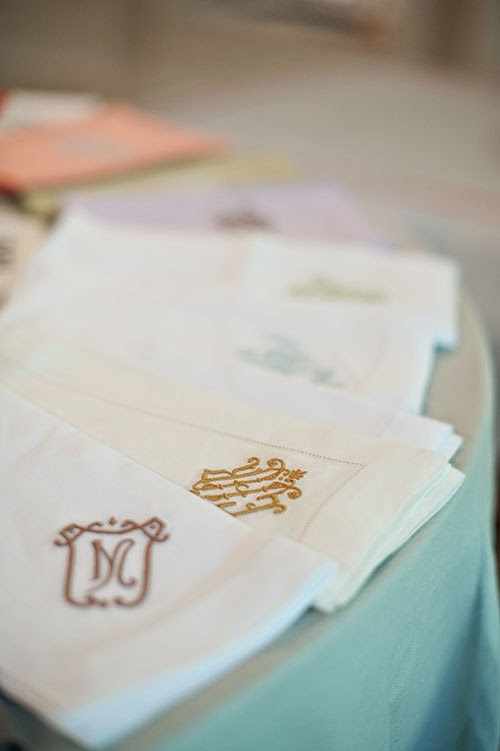 From the beginning of her career as founder of Leontine Linens in New Orleans, Jane Scott Hodges has focused on creating exquisite custom linens that are superbly hand-crafted, unique, expressive, personal and practical for both formal and informal entertaining. “Jane Scott and I met on the day before she gave birth to her daughter Talley in New Orleans and have remained friends ever since. Back then she ran Leontine Linens out of a guest room and I have been buying from her continuously. 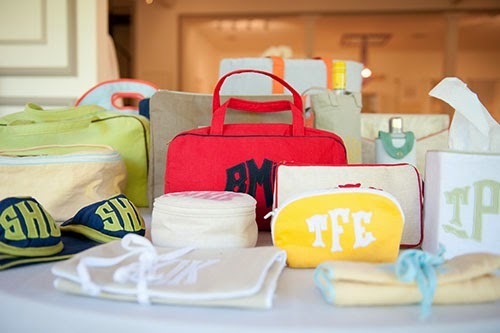 Jane Scott and I have done all kinds of projects from bed linens to cosmetics cases and jewelry bags. 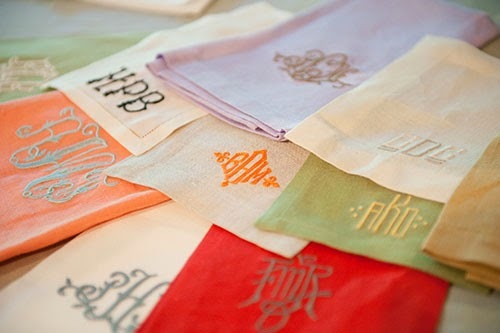 There is something utterly special and singular about her perfect monogram designs. They are deliciously old world. 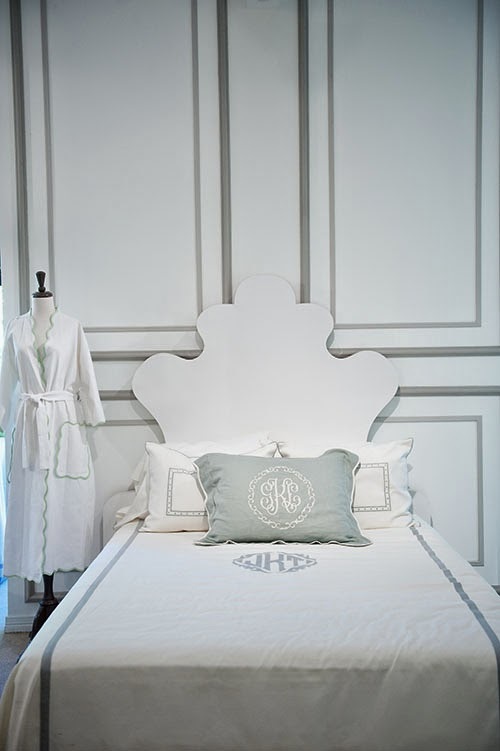 In 2002, Leontine Linens acquired the Eleanor Beard Studio. This historic company located in Hardinsburg, Kentucky since 1921, has made couture linens known the world over for their superb detail. Each sewer has an acquired specialty, ranging from cutting to hand-stitching to patternmaking. Once an order is placed, each task is specially delegated to an artisan based on her specialty. Leontine designs all products to be as sturdy as they are beautiful. 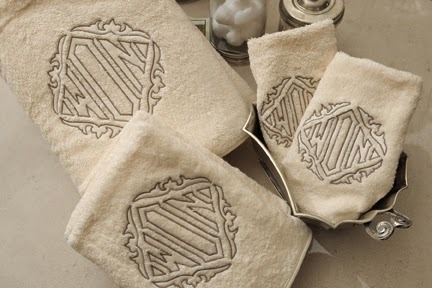 Nearly all of the products are washer- and dryer-safe, with only a select few cashmere pieces requiring special care. A testament to the quality of the products is the archives of antique and vintage Eleanor Beard pieces that line the Leontine office shelves. Quilts dating back to the 1930s look as if they were sewn just yesterday. The Leontine experience is equally as important. From its inception, the company began in-home consultations. Unlike the traditional retail setting, the in-home appointment allows for an immediate sense of understanding about how the client lives and what products and designs best compliment his or her lifestyle. The company’s sales representatives intuitively guide the client through the selection process to help them select each design element. Jane Scott works closely with top interior designers around the country, including Charlotte Moss (who wrote the foreword for ‘Linens for Every Room and Occasion’, as well as for private clients, historic estates, country retreats, beach houses, yachts, and modern penthouses. 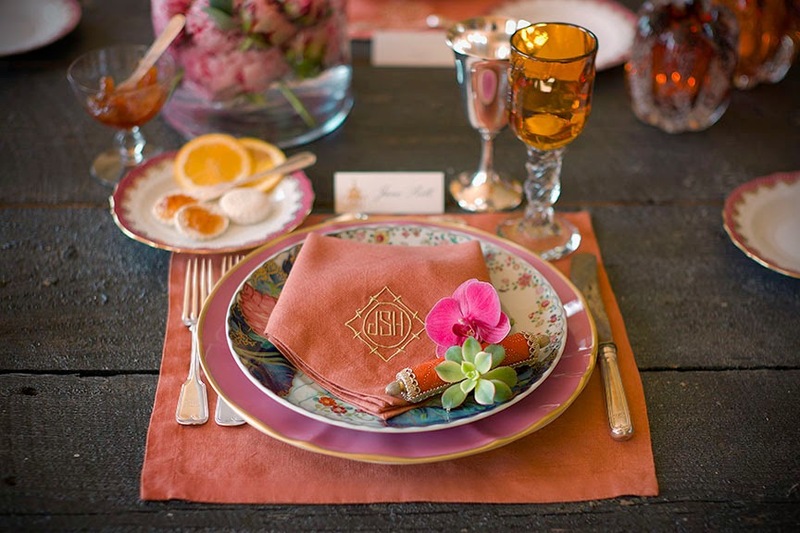 Among her designer are Matthew Carter, Gwen Driscoll, Beth, Webb, Katie Ridder, and Leslie Lux—and decorators too fabulous and divine to mention. Leontine collaborates with ultra-private brides and celebrities (though Jane Scott never name-drops, and she respects the privacy and confidentiality of each client). 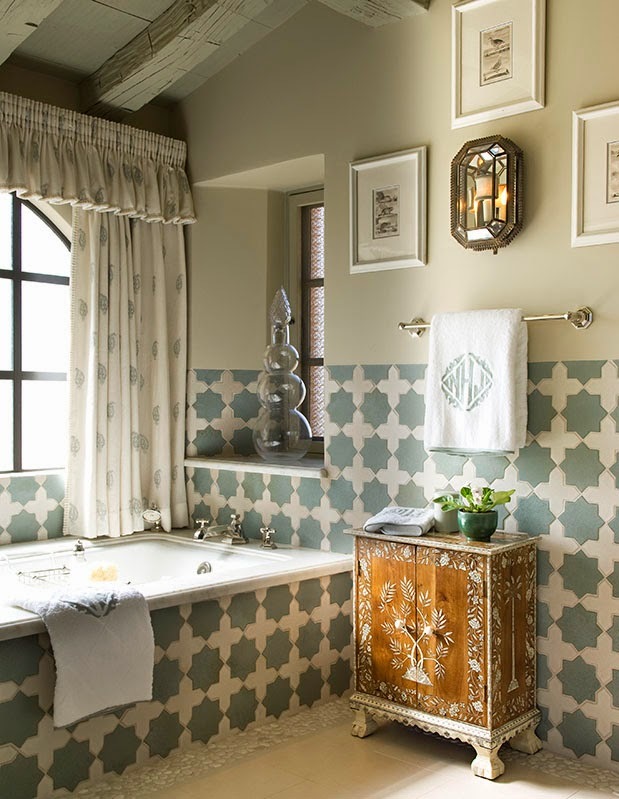 Jane Scott loves to collaborate with interior designers and architects for projects of every scale. 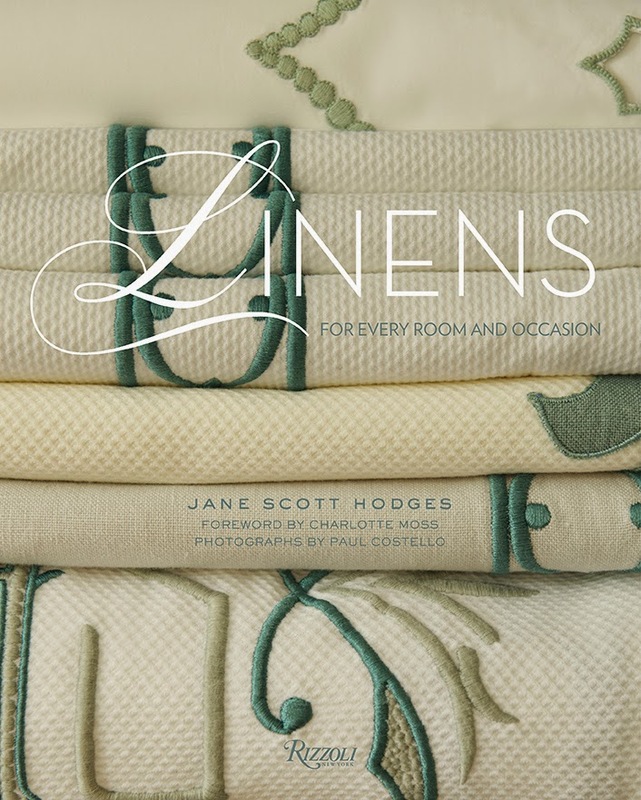 Rizzoli published the new ‘Linens: For Every Room and Occasion’ by Jane Scott Hodges, with a Foreword by Charlotte Moss. Photography is by Paul Costello. 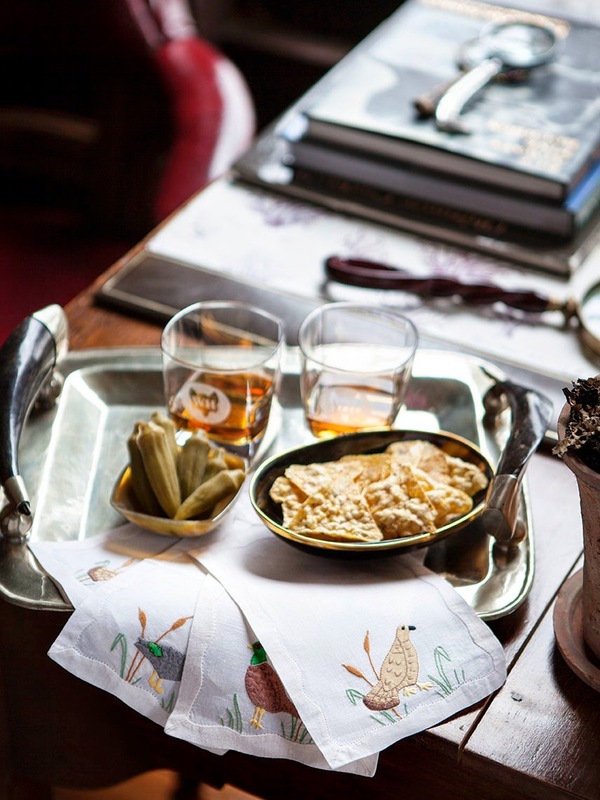 Images from the book are used here with express permission of Rizzoli. Jane Scott Hodges with Charlotte Moss (center). The 2014 Showcase will be at 3660 Jackson Street, San Francisco. The house will be open from April 26–May 26. Jane Scott has lots of fans--and so many of my friends of FACEbook…have left comments. I love to hear from you all. Thanks for the great tour. Amazing. You achieved perfection! 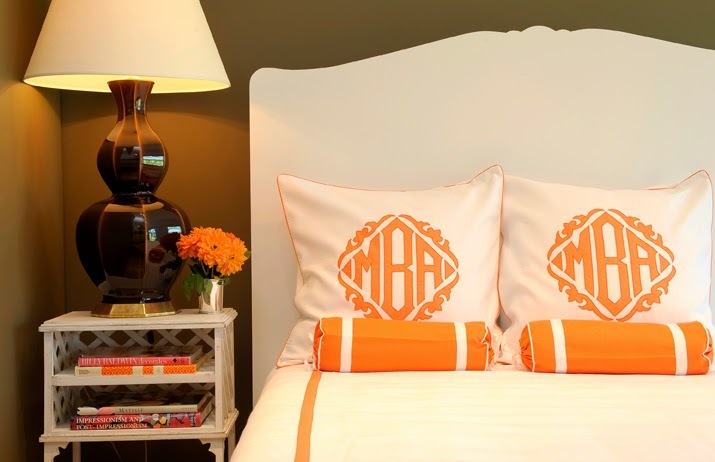 Monograms paired with great bedding and tile? I need to order this from my local bookstore. Thanks for sharing. I have to get her book. 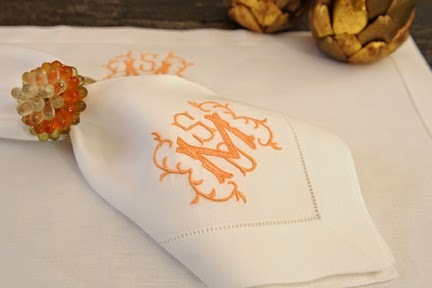 I love monogram linens, any kind any size. Her creations are extraordinary. 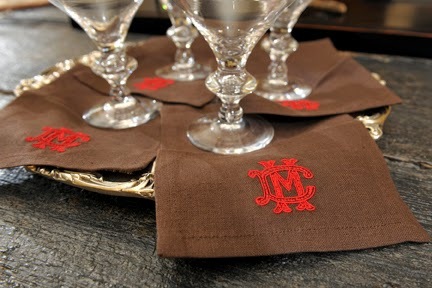 I have a few sets of bed linens monogrammed like this which my family brought from Havana when we left the country. I treasure them and try to use them sparingly. Although the linen is the best they are so old I don't even dare look at them for fear they will disintegrate. I also have a set of pink cocktail napkins with "Carmen Miranda" look alikes engraved. They are from the 20's or 30's. How I wish I could afford them again!